Let’s face it, bamboo in the garden is usually a love/hate relationship. You love it if you see it in someone else’s garden but you hate it if that someone else’s garden is your next-door neighbor’s. Believe it or not our climate actually slows down the growth of bamboo so it CAN be a polite neighbor. Even so, a “bamboo screen” can quickly turn into a “bamboo nightmare”. In the tropics timber bamboo grows up to 5 feet per year. No wonder it is being used for everything from clothing to flooring. Thomas Edison even used bamboo filament in the first incandescent light bulb. Bamboo is a renewable resource on steroids. Luckily, more varieties of polite bamboo are creeping into local nurseries. We even have a South Sound nursery specializing in bamboo, Jade Mountain Bamboo in Tacoma. They are bamboo experts and autumn is a great time to plant, either inside or outside…some bamboos make great house plants! In full disclosure, I haven’t been able to sell the family on fava beans. Fava beans, aka: broad beans, Windsor beans, Scotch beans or (my personal favorite) horse beans are worth trying. Maybe if favas had a catchier name more people would grow them. Fava beans grow in cooler weather, 40-75 degrees so the Washington State’s South Sound is a perfect place for fall to early winter growing and harvesting. 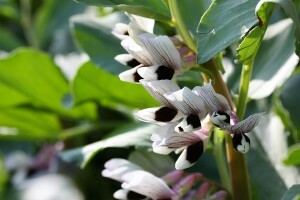 Plant fava beans (they’re really in the vetch family) in the same place you plant green beans. A pretty little white flower with a brown splotch forms and then a “bean” 4 inches long. Each pod produces several large flat “beans”. They look like gigantic lima beans and can be cooked fresh or dried. Since they have the denseness of limas they even make a decent humus. If your family balks at the favas on the table, don’t worry. Favas are also a good cover crop (another boost to the garden and also called green manures). Since fava beans are in the vetch family they “fix” or store up nitrogen in their roots and you can plow under or turn over the whole crop back into your garden for a jump on springtime soil amending. Give them a try…it’s a win-win. Fava beans are available from Johnny’s Selected Seeds, Baker Creek Heirloom Seeds, Grow Organic and more. Lone Pine Press publishes some really helpful plant ID books. “Plants of the Pacific Northwest Coast” by Pojar and Mackinnon has become a required reference book for college level classes in ecology. Lone Pine reference books are always well organized and well researched. The newest one is “Wild Berries of Washington and Oregon” by Lloyd and Chambers. We should all know how to identify our local wild berries just on the off chance we’re forced into survival mode. Even though most of us don’t forage on a regular but basis it’s a still good idea to be able to tell the difference between the tasty and the terrible. Over 200 berries and berry like fruit are listed and pictured with helpful clues about edibility, a special section devoted to poisonous, Native American uses and even a few recipes. With the South Sound gardeners’ interest in native plants, this is a good companion book to “Plants of the Pacific Coast”. 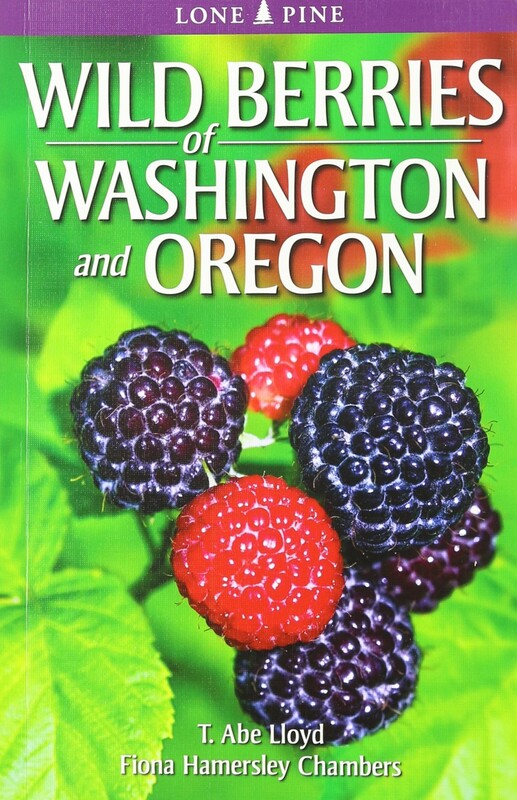 “Wild Berries of Washington and Oregon” $21.95, 256 p.